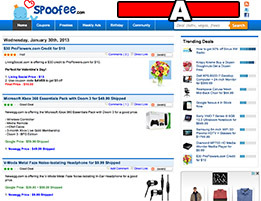 Spoofee.com has been around for over 5 years helping consumers find deals and coupons everyday. 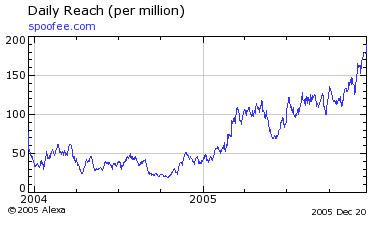 Spoofee.com currently has over 1 million visitors every month and the traffic / community continues to grow everyday. Buying a banner ad on Spoofee will help your business name to be exposed to many. Best of all, it's cheap and no long contract is required! The following rates are available and space can be reserved at any time. - Your banner will rotate with 9 other banners on top of the page. - Requires you to submit a 468 x 60 image or flash banner. - Roughly, your ad will be shown 5000 / day.